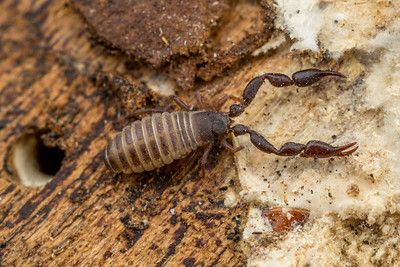 Pseudoscorpion approaches a mat of white fungus. You can also see a borer hole in the wood. 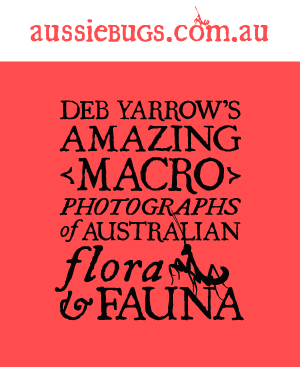 Found under bark on a decomposing ironbark branch. Lake Boondooma, Qld. 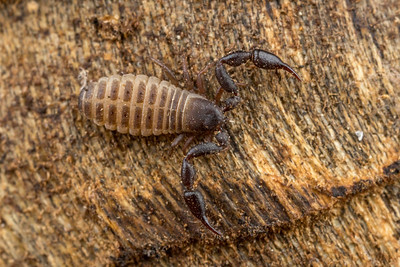 Also known as a false scorpion. 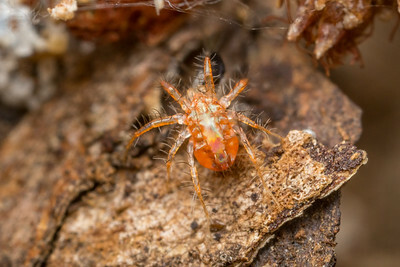 Found under bark on rotting timber. Lake Boondooma, Qld. Hairy mite batman! 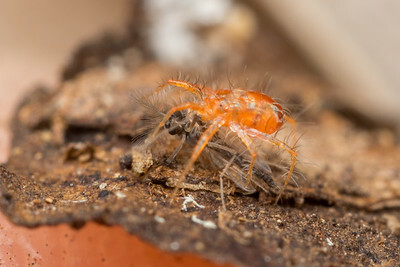 A mighty midge meal for a mite. Woodgate, Qld. 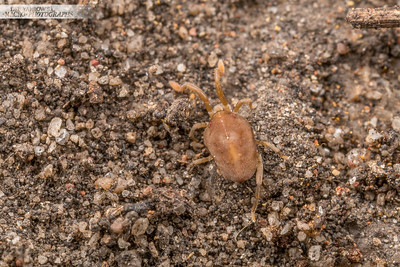 Brown mite with seven legs in the dirt. Cania Gorge, Qld. 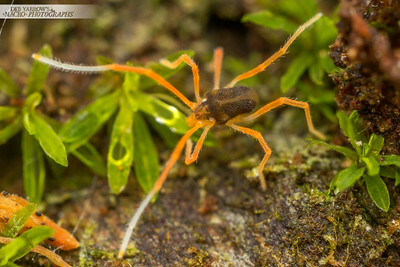 Long-legged mite traverses some moss on a tree buttress in the rainforest. Mt Glorious, Qld. 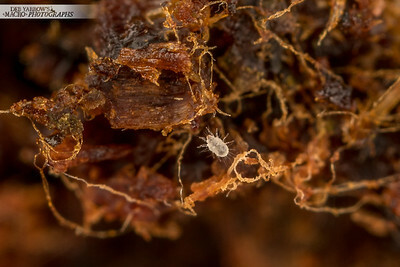 Pale, translucent white mite lives inside borer frass on a tree branch. Oxley Creek, QLD. 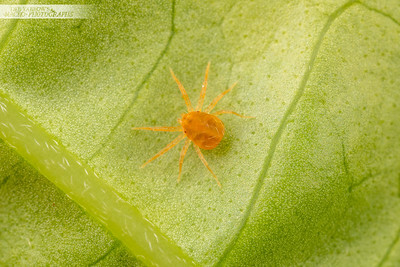 Spider mite pauses in its frenzied journey across a leaf. Kyogle, NSW. 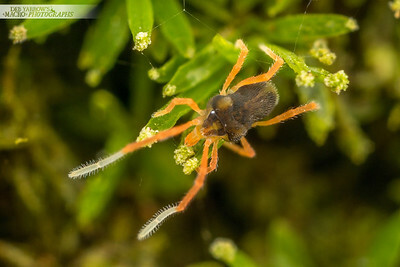 Australian paralysis tick feeding from a human skull. Bunya Mountains, QLD. 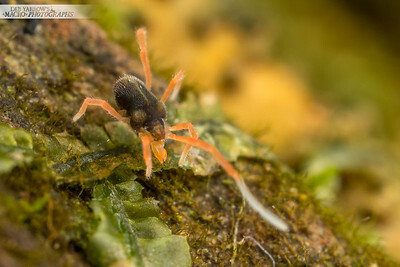 Orange-legged mite grazes on mosses in the rainforest. Mt Glorious, QLD. 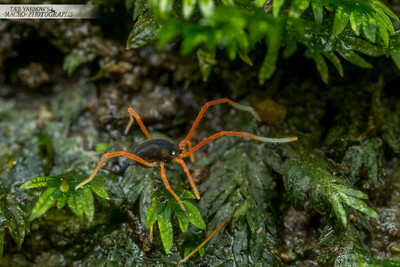 Mite wanders araound on the moss waving it's two front legs like antennae. Mt Glorious, QLD. 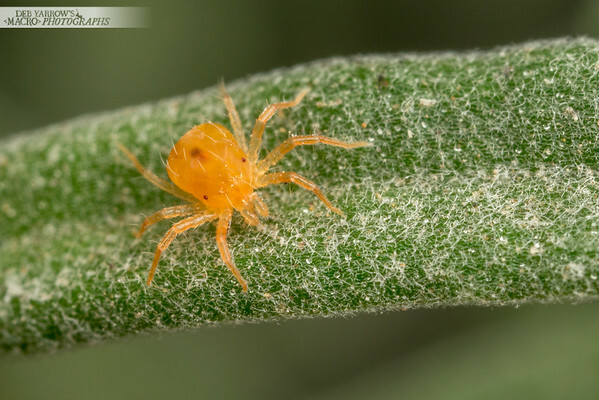 Orange-legged mite explores food options among the rainforest plants. Mt Glorious, QLD. 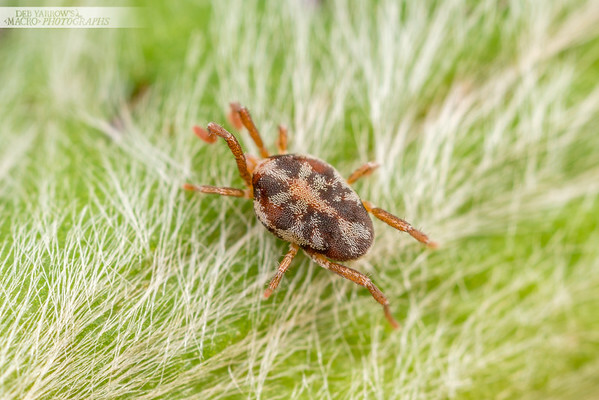 Brown mite with white stripes on a green seed pod. Mt Glorious, QLD.